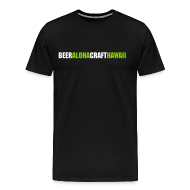 Earlier this week a small group of media gathered in the vast and soon to be restaurant space at Maui Brewing Company in Kihei to await a special announcement. 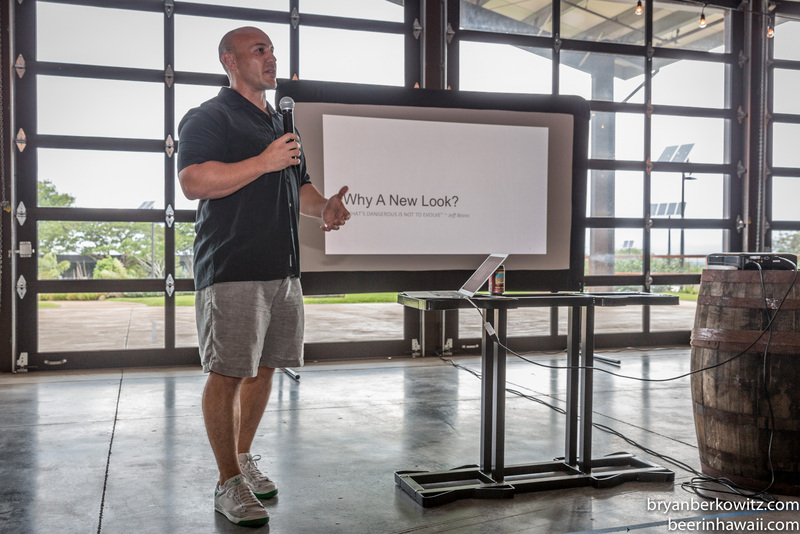 Owner Garrett Marrero stood at the front of the group with a cold can of Mana Wheat and opened a Power Point slide presentation with a quote from Amazon.com founder Jeff Bezos, “What’s dangerous is not to evolve.” Marrero had gathered everyone to announce a complete rebranding of Maui Brewing Company’s can designs and logo. It’s always a risky move to change the look of an established and well loved product. People get attached to a design or a graphic and somehow feel connected to it. But for Maui Brewing Company, the time had finally come to grow their brand’s graphics along with their brewery. While the company has exploded in size over the past few years, the designs have stayed the same and hadn’t evolved with the changing craft beer landscape. Marrero and team decided it was time to give their company a new, fresh look. 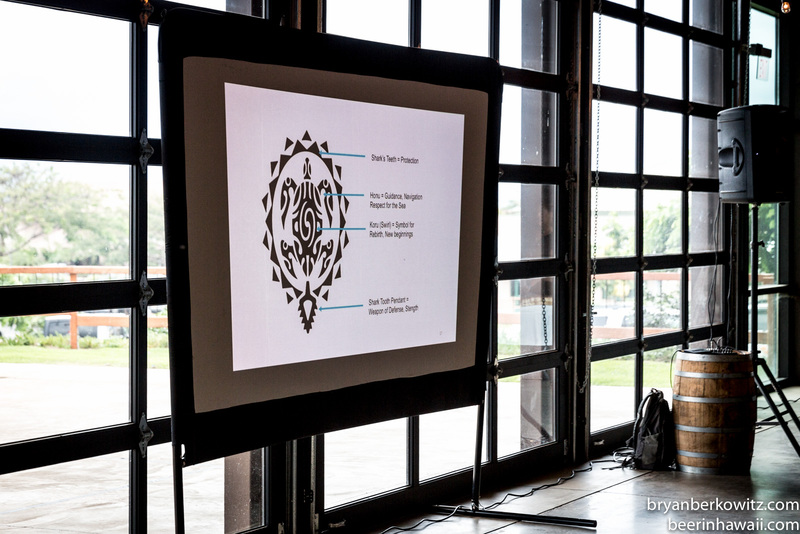 The well recognized tribal logo underwent a small nip and tuck to make the overall design more compact. The tribal turtle surrounded by shark teeth has stayed pretty much the same, while the hanging shark tooth pendant at the bottom of the logo has been pulled up more. 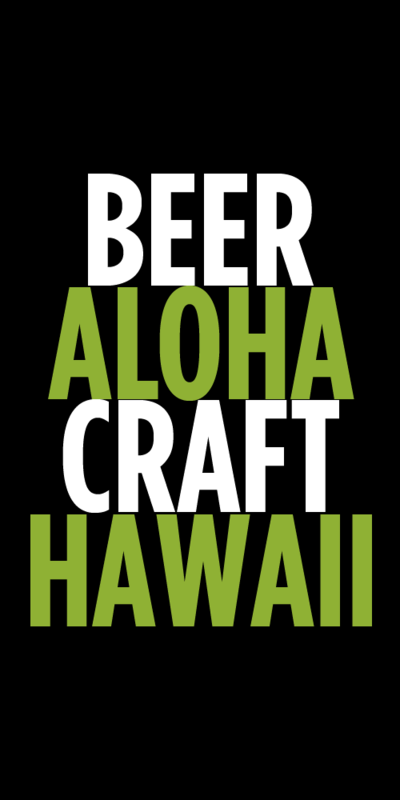 The main change in the logo is the new font or wordmark of Maui Brewing Co. The new font is blockier, more bold and easier to read. The new font is heavily featured on the new can designs. 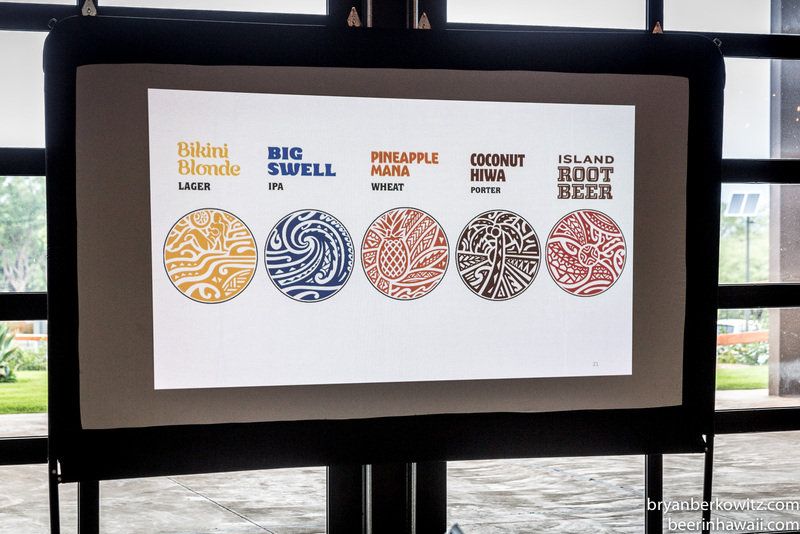 For the new cans, Maui Brewing collaborated with influential Polynesian tattoo artist Orly Locquiao to create icons for Bikini Blonde Lager, Pineapple Mana Wheat, Coconut Hiwa Porter, Big Swell IPA, and Island Root Beer. Each can has a unique tribal image in a different color. 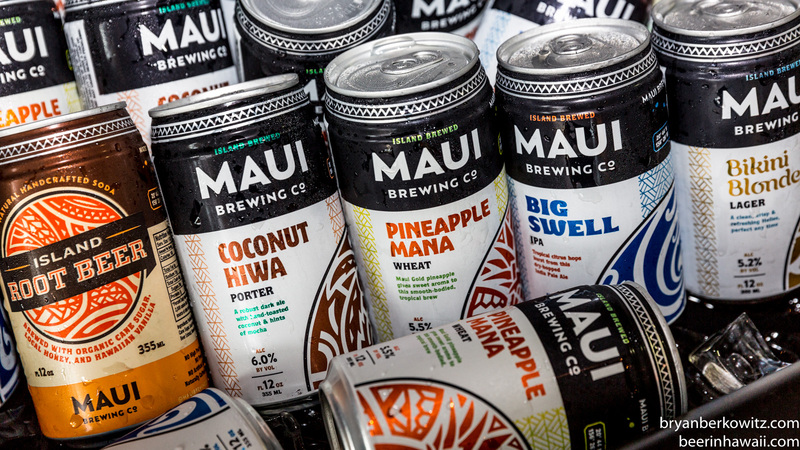 The Maui Brewing Co. name is prominently featured at the top of each can, which makes a whole lot of sense for brand recognition on the shelf. The new clean designs are a stark contrast from previous designs that featured various artwork and many colors. The new can designs feel more grown up and polished, which mirror the company’s growth. Mana Wheat and CoCoNut Porter both also got new names, Pineapple Mana Wheat and Coconut Hiwa Porter respectively. There were also three other big and interesting announcements that MBC fans will be excited about. First – Long time favorite and rarely seen La Perouse White will be back as a limited can release this summer. This amazing Belgian Wit will be featured in new mixed 12 packs that include 3 each of Bikini Blonde, Big Swell and Pineapple Wheat. We haven’t seen La Perouse in cans for a few years so it will be great to have this thirst quencher back for the hot summer months. Lorenzini Blood Orange DIPA will also be making its return this fall! Second – Limited release 750mL bottles. Yes, some of your prayers have finally been answered. Plans are to release Liquid Breadfruit and Black Pearl in bottles this Fall. These will be limited releases and quantities will be small. Third – The restaurants keep on coming. Taking a page from Stone, Maui Brewing Co. will continue to open more restaurants across the islands over the next few years. There are currently four new restaurants in the works (Waikiki, Kihei, Oahu #2 and West Maui) with the Waikiki project being the next to open in October. No details have been given on where the second Oahu location might be. I’ve already noticed a number of comments on social media about the new designs. Some love it while there are others who didn’t see the need for the change and will miss the old cans. One thing that is for sure is that the beer in those cans has never been better. Tags: Maui Brewing Company. Bookmark the permalink. Looks great – thanks for the coverage!!!! There’s a difference between evolving and fixing what isn’t broken. I loved the old can design. The new can designs feel too corporate and less local. The new cans have “evolved with the changing craft brew landscape”. 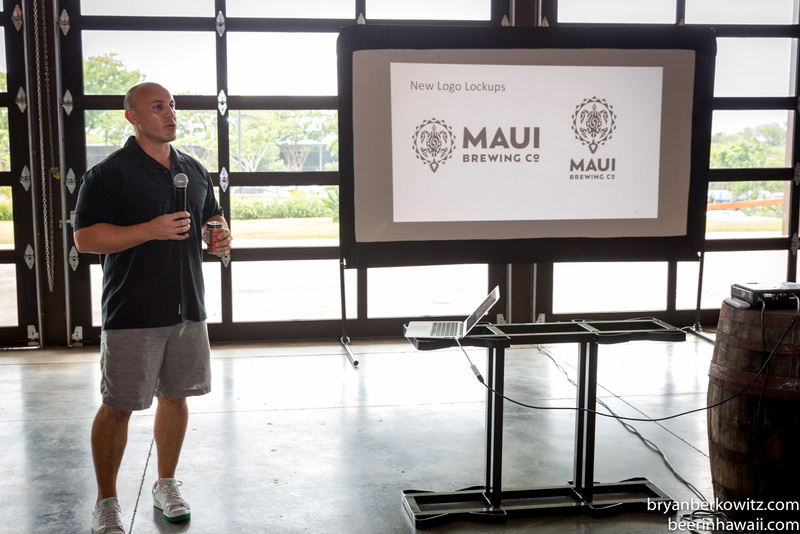 It sounds like Maui Brewing Company has become a followe instead of a leader. Craziest move I’ve ever seen in a brewing company in my life. The beer is good… but guess what… there are hundreds of good beers out there. There’s a reason why people buy this beer… and it’s not only the taste. Same reason we don’t all drink out of red Solo cups.